Walmer Castle and Gardens, North East of Dover, Kent. 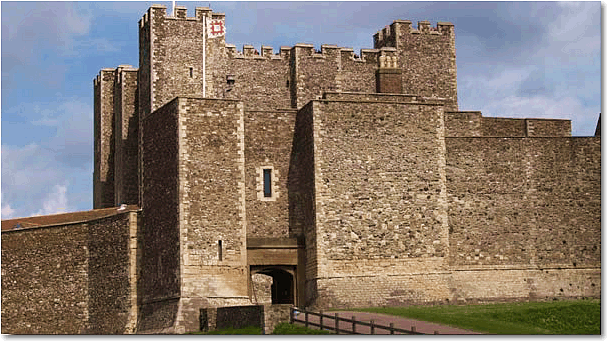 Built by Henry VIII in the 1539 and smaller in size than Deal Castle. Open all year (Nov to March Wed - Sun, Jan & Feb weekend only) except when the Lord Warden is in residence. A Henry VIII circular fort built in 1539. Open all year. Hever Castle, South-East of Edenbridge. Rochester Castle, North of Maidstone.